The Magisterial inquiry with respect to the floating armory of the Avant Garde Maritime Services (Pvt) Ltd has been terminated after the Criminal Investigation Department (CID) apprised the Court that it would not proceed with the case under AG’s advice. The Galle Magistrate last week also lifted the foreign travel ban imposed on former Defence Secretary Gotabaya Rajapaksa over this case. Police this year seized more than 3,000 weapons in 20 containers from the armoury, run by private security firm Avant Garde Maritime Services (Pvt) Ltd and docked in port of Galle. The Galle magistrate had imposed a travel ban on three people: former secretary of defence Gotabaya Rajapaksa; former navy commander and adviser of Avant Garde, Satilaka Dissanayake; and another director of Avant Garde. Storm in a tea cup! 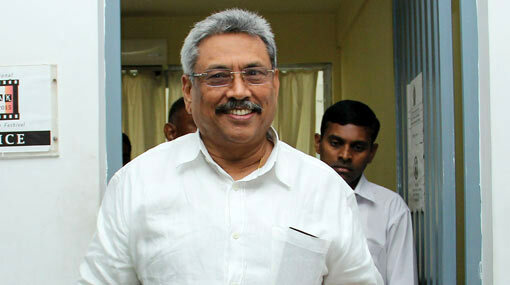 Gotabaya, I would advise you not to leave the country. This is a trap. Its obviously trap for the craps. That’s great news. Truth triumphs, all the time. How is it that our current government has chosen not to bring Vinayagamoorthy Muralitharan aka ‘Karuna Amman’ to justice or at least proceed to investigate the fact that he is accused of presiding over the execution of 600 unarmed policemen in the Eastern Province after they had surrendered, at the direction of President Premadasa, to the forces he commanded? How is it that K. P. Pathmanathan (one of his better known aliases) is running free in this country doing ‘business as usual’, when he is on the Red List of Interpol for being the conduit for arms to the Liberation Tigers of Tamil Eelam (LTTE) when they were an internationally-declared terrorist organisation murdering and dismembering Sri Lankan civilians left, right and centre and even assassinating a leader of our giant next door neighbour?